SHIPS FREE!!! 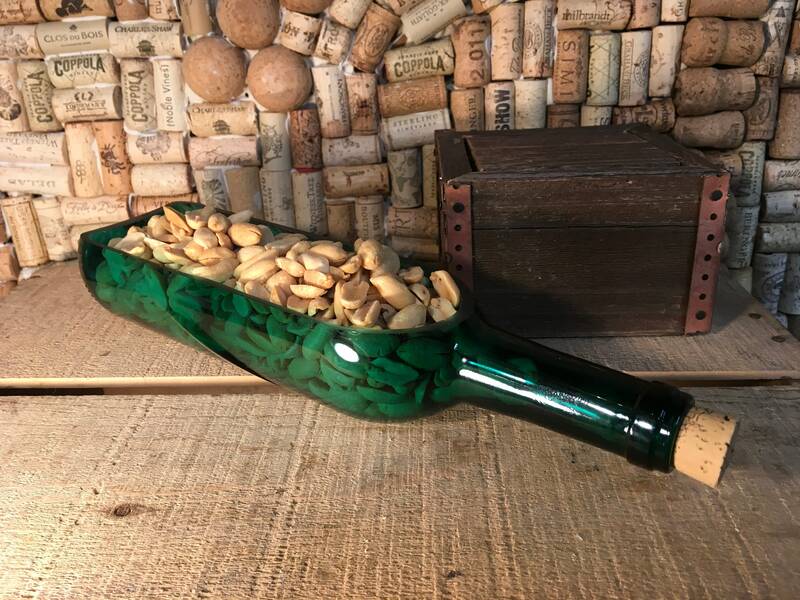 This is a side cut bottle green wine bottle. It has been professionally cut and polished. 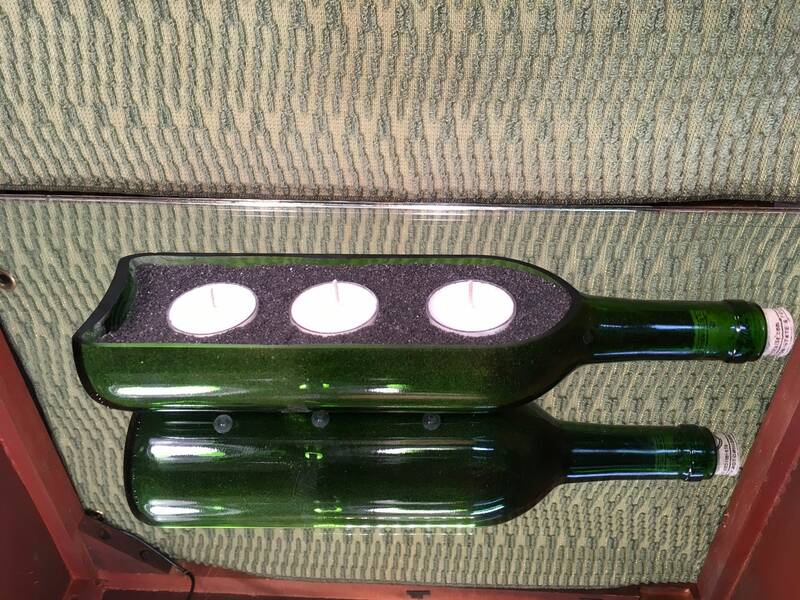 It comes with six tea light soy candles. Please add a note with which which scent you would prefer. Find a list of scents below. The black pebbles are slightly glittery. 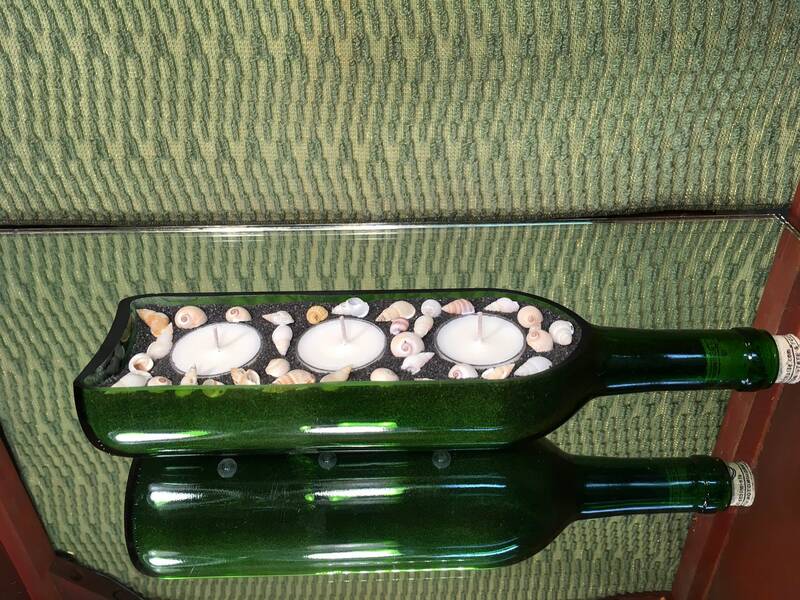 Use the drop down menu to choose with or without sea shells. 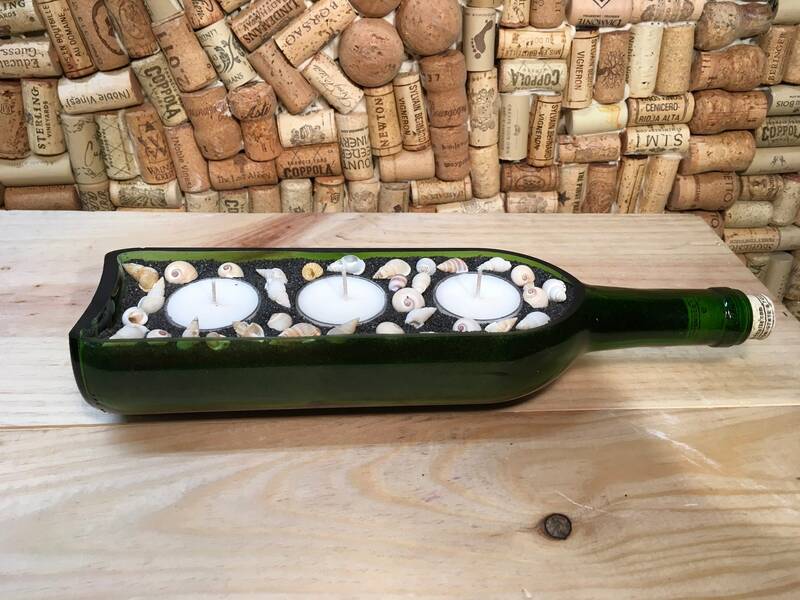 The final two photos are showing other ways in which you can upcycle the bottle. These are stock photos. 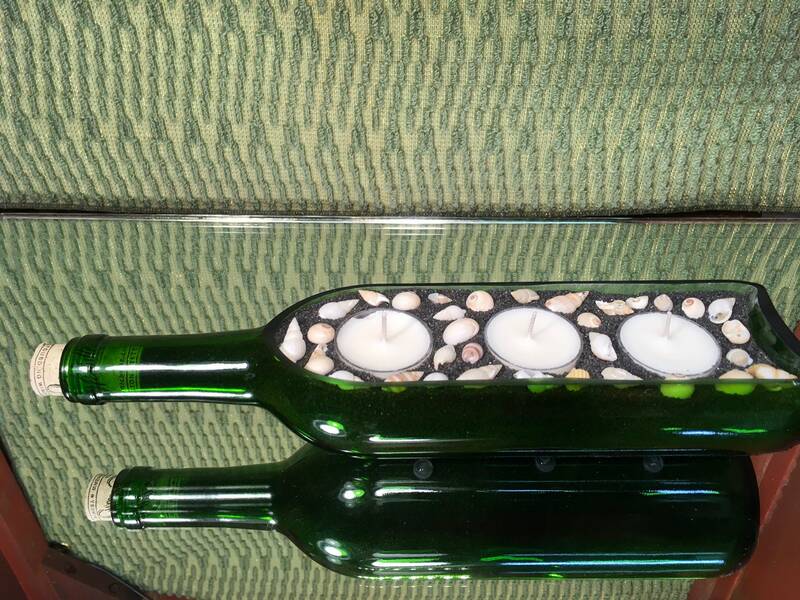 If you would like a photo of the one being shipped to you just message me. 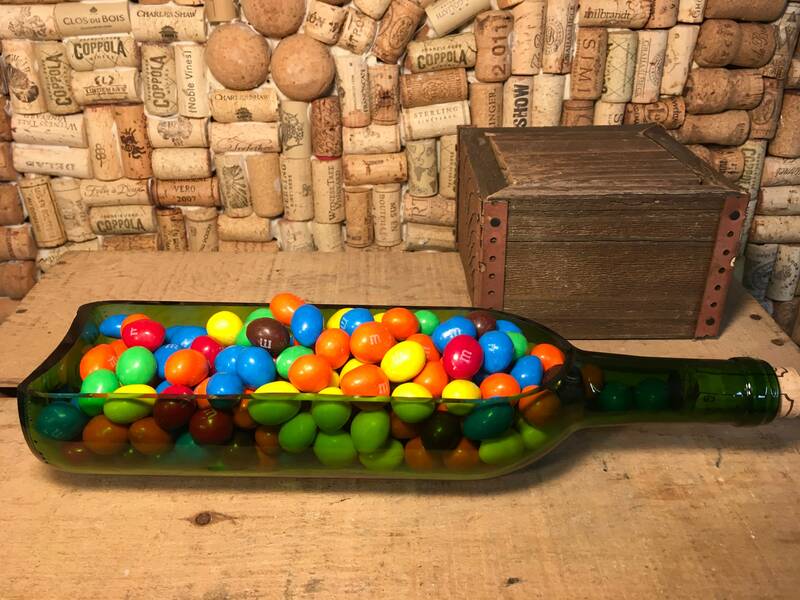 The difference would be in the cork that is used. 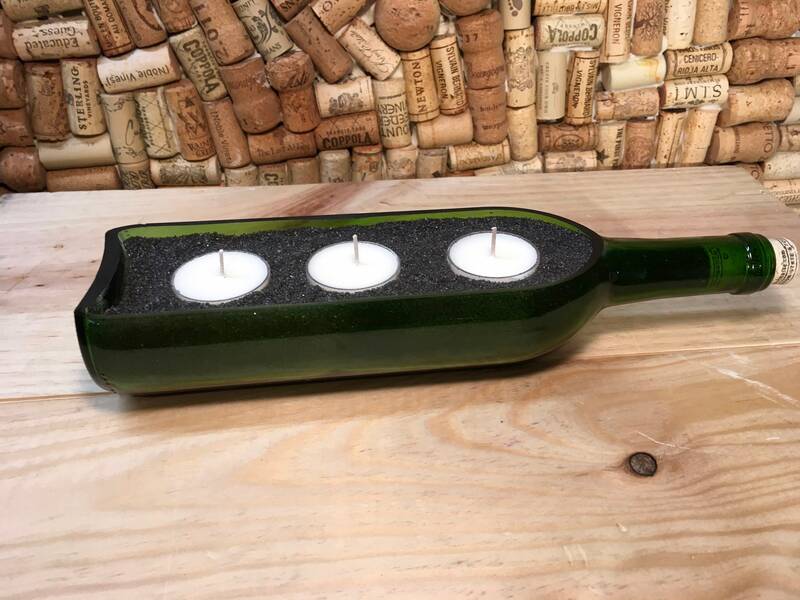 Please check out my other varieties of side cut wine bottles in the “wine bottle candles” section of our shop.